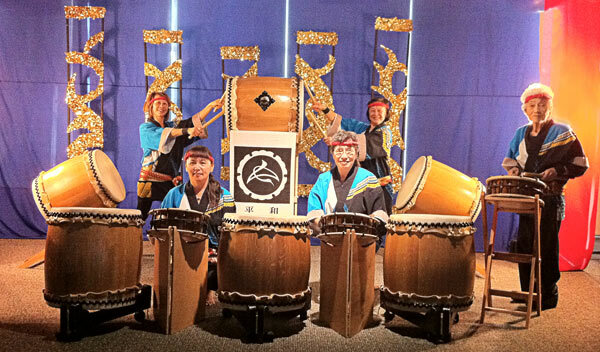 Heiwa (Hay-Wah) Taiko is based at Southern Alameda County Buddhist Church in Union City, CA. Heiwa means Peace in Japanese. We are a group of older dynamic and energetic grandmas who love to play Taiko and to spread the art and beauty of Taiko. Taiko is the ancient art of Japanese drumming used to notify villages in emergency and battle. Today, Taiko is played at festivals and celebrations. Originally only men were allowed to play Taiko in Japan. In the US, the majority of players are younger men and women, which makes our group unique. We play on 19″ drums which we personally make out of wine barrels. It is a very dynamic sound that encompasses the mind, body and spirit. it is entertainment that provides definite excitement that touches the soul. Our average age is 70. Heiwa performs an average of 25 gigs a year. We have played for a variety of organizations including the 75th Anniversary Celebration of the Golden Gate Bridge, Asian Pacific Islander Group, Santa Rita/San Quentin/Solano prisons, various senior homes, Fort Mason and the Presidio in SF, Cantor Museum at Stanford University, SF Academy of Science, Oakland Museum, Petaluma Coast Guard, Pride Parade, Pixar Studios, Cisco, Princess Cruise, Shakespeare Festival in Ashland, Oregon and many private venues. 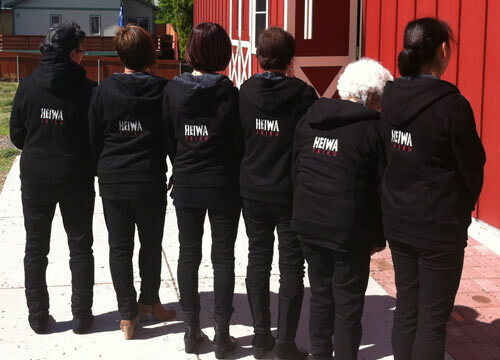 If you are interested in hiring Heiwa for a performance, team building, or teaching please contact us. “Inspirational. Thank you. We're over from England.